TEDx Melbourne is one of the best TEDx events worldwide. There is no luck when it comes to creating the extraordinary. Creating something like this requires a lot of hard work, coaching and outstanding curation by the wonderful Jon Yeo. Connection happens in the mind. What is extraordinary about the TED phenomenon is that it’s entirely built on the strength of ideas. Imagination is what drives impact. We support TEDx Melbourne on the following areas. Capture the keynotes in a way that’s in line with the quality standards of TED.com. We help promote the event by creating the content for a social media campaign in months before the event. Build a library on content that creates conversations year round and match that with the strategy that fuels growth. Create a highlights reel for past and future delegates. The event itself was covered by a team of six camera operators capturing all the crucial angles what we’re so familiar with from TED.com. It’s a complex project the requires extensive project managing, creative direction but most of all preparation, preparation and then some more preparation. In that respect it was brilliant to work with the wonderful Mages, the driving force behind the event. Mages makes things happen. 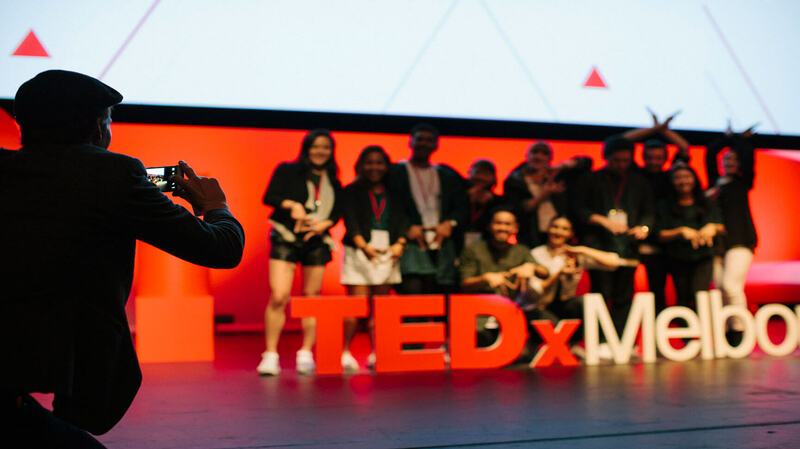 Together with the TEDx team we were looking at camera angles and lighting months before the event. That’s how it’s done people! For social media engagement a key piece of content is the promo. We chose to not make a ‘promo’ as such, but to emphasise the idea worth spreading; Rebels, Revolutionaries and Us. We explored with the speakers what rebellion is and what all of us can do to apply the ideas to our lives. After the 2016 event we created this highlights video for their event that got about 25.000 views within weeks. Short form content that starts conversations is powerful. One interesting strategic outcome of our TEDx project was the traction we got with our one minute videos: the combined videos were at 100.000+ views within weeks.